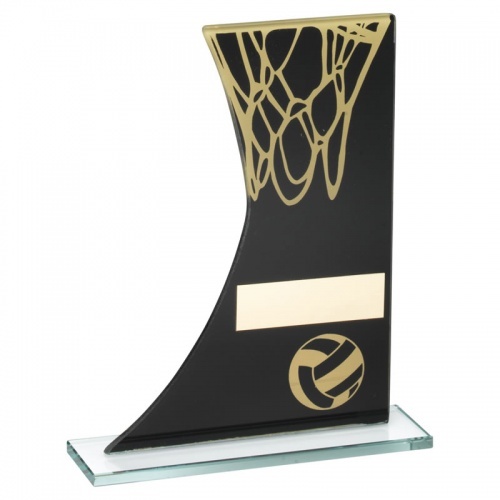 Contemporary netball trophies crafted in flat black glass with gold netball motif on the front. Standing 8in (203mm) tall, these glass netball awards plaques have an engraving plate on the front of the award. They are offered here with low cost engraving.